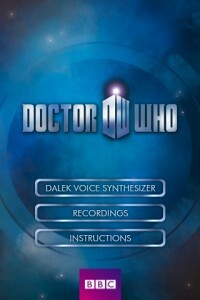 If you love the classic BBC series “Doctor Who,” then you’ve got to try iAmADalek, the BBC’s official app for recording your own Dalek sound bites. The Daleks are the classic villains of the series, and their uniquely creepy speech patterns have sent kids ducking behind their sofas in fear since the 1960s. iAmADalek records your voice, and then modulates the audio so that you sound just like a terrifying alien. You can then play back the Dalek-ified sound clip to amuse your friends. If you have never seen “Doctor Who,” then this app is clearly not for you. But for fans of this sci-fi series, it’s hard to resist the allure of this fun app. While the entertainment value doesn’t last for more than a few minutes, fans of the Doctor and the Daleks will enjoy hearing what they sound like as one of these evil aliens. The interface is incredibly streamlined. There are three buttons on the main screen, and just four buttons on the screen where you record your vocal tracks. After recording and playing back your Dalek sound bite, you can easily save it for later listening, or share it via email. 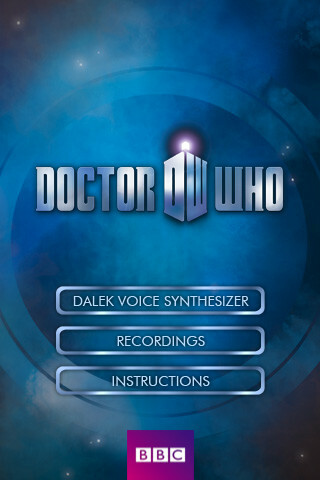 If you have kids in your life who love “Doctor Who,” they are bound to get excited by this officially licensed app. While it can be hard to sift through a large number of saved files, the results are high quality. 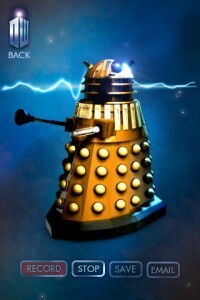 The voice modulator really does make you sound like a Dalek. 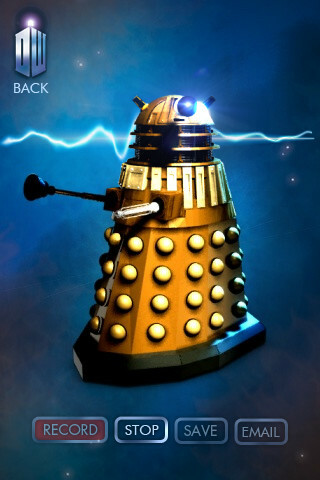 However, for best results, you need to do your impression of a Dalek… the app can only do so much on its own. If you love “Doctor Who,” there’s no reason not to spend some time playing around with this cute app. Sure, it’s a bit one-dimensional, but iAmADalek does everything that it sets out to do. Even if you don’t know the first thing about Daleks or “Doctor Who,” this voice changing app can also be fun for amateur musicians and filmmakers to play around with.